“Father Time marches on with his head up high/ And so do I,” went a Berlin song from 1938. By the same token, one could simply string along the right two dozen Irving Berlin songs in chronological order to get a sense of what America was about - and what it stood for - in the twentieth century. His early days as a Tin Pan Alley songwriter incorporated a wide variety of ethnic songs, many of them in a dialect idiom: Yiddish (“Sadie Salome, Go Home,” “Yiddle with a Fiddle”), Italian (“Marie from Sunny Italy,” “Dorando”), or African American (“Anna Liza’s Wedding Day,” “Mandy””). Although some of these songs may be problematic a century after the fact, in their time they were celebratory about the great wave of immigration from Europe and the Great Migration from the South; by bringing these cultures into the mainstream of entertainment, these songs were meant to be inclusionary about the assimilation process in America. When the Depression hit as the 1930s began, Berlin was there, too. His “Let’s Have Another Cup of Coffee” from Face The Music was an anthem of optimism during hard times. As Thousands Cheer, with its front-page framing device, was perhaps the most topical revue in Broadway history, covering - with equal measures of humor, skepticism, and outrage - the election of Franklin D. Roosevelt, the building of Rockefeller Center, European war debts, a host of celebrity scandals, and lynchings in the South. As storm clouds gathered over Europe and America’s role of a bastion of freedom became increasingly important, Berlin found a way to affirm his belief in the power of democracy through song: “Song of Freedom” in Holiday Inn, but, more important, his revision of an earlier tune, “God Bless America.” The song had been intended originally for Yip Yip Yaphank, but Berlin was persuaded that it would be swallowed up by the glut of fervent patriotic songs of the period. He recalled the song during a visit to England in 1938 where he sensed the inevitability of a worldwide fight against fascism. Making some slight revisions, he entrusted the song to the popular radio singer Kate Smith, who first performed it on her Armistice Day program that November. The song immediately struck a powerful chord of patriotism and it was quickly picked up by folks of all political stripes; from then on, it has been considered our second national anthem, played at all sorts of events from Philadelphia Flyers hockey games to times of national healing, especially in the wake of 9/11, when singers such as Celine Dion had recordings of the song that climbed up the contemporary pop charts. When World War II began, Berlin was again at the ready to serve his country with his songs: This Is The Army roused the spirits of the home front and eventually inspired battalions of soldiers around the world when Berlin toured numerous army bases; in fact, the show ran longer than the war itself. This Is The Army also took into account the African American units who served valiantly in the war (“What the Well-Dressed Man in Harlem Will Wear”). Berlin also provided a potent shot of wartime morale with songs that supported the war bonds drive, the Red Cross, even the value of paying one’s income tax. The relative prosperity of Cold War America also provided subjects for Berlin’s satirical perspective: “They Like Ike” from Call Me Madam (1950) eventually became a theme song for Eisenhower’s successful presidential campaign in 1952. Berlin’s bemusement about presidential politics and national identity continued through his final full Broadway score, Mr. President, which poked gentle fun at a White House run by a young, attractive couple not unlike the Kennedys. Although Mr. President was Berlin’s last full musical project in 1962, he was hardly inactive during the last two decades of his life. Berlin had always been personally private, but professionally public, and continued to do the most he could to get his work - old and new - before an audience. In 1968, he was honored by a 90-minute-long tribute in primetime on The Ed Sullivan Show (where he sang “God Bless America” backed up by a phalanx of Boy Scouts). He performed at the White House and was recognized with the highest honors that can be bestowed upon an American civilian, presented to him by several sitting presidents. From his Beekman Place home overlooking the East River, he devoted his time to corresponding with friends and collaborators by letter or telephone, watching over his many copyrights and publications, drafting the odd lyric or two, painting, and occasionally agreeing to a rare interview. He died in his sleep on September 22, 1989 in his townhouse at the age of 101. Berlin realized that musical tastes had shifted in the latter part of his lifetime, away from the “simple melodies” that served as the nation’s soundtrack for generations. But, as he himself wrote, although the songs may have ended, the melody lingered on. Berlin’s music continued to be prevalent and persuasive throughout the turn of the twentieth century and beyond. 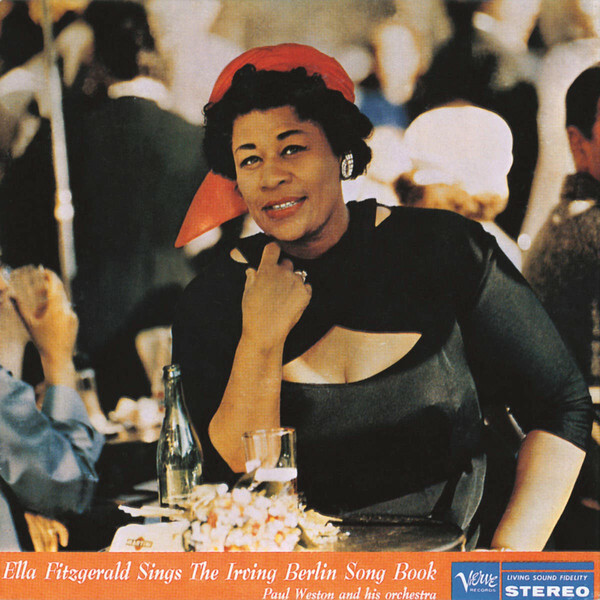 Recording artists have consistently returned to the Berlin songbook, beginning with important all-Berlin albums in the 1950s by Ella Fitzgerald, Sarah Vaughan, and Billy Eckstine. Willie Nelson had a Number One rendition of “Blue Skies” on the country charts in 1978 and such diverse artists as Kiri Te Kanawa, Tony Bennett, Maude Maggart, and Joan Morris have all recorded Berlin-centric albums in the last few decades. Music by Irving Berlin has been used to great dramatic purpose as underscoring in literally hundreds of films over the last fifty years. In 1974 alone, two of his songs were used to seminal effect in two completely different Hollywood movies: as hilarious comedy, with “Puttin’ on the Ritz” in Young Frankenstein and as poignant tragedy, with “What’ll I Do?” in The Great Gatsby. Since then, Berlin’s songs have served as potent cultural signifiers in film and television; there’s hardly a modern Christmastime film comedy that hasn’t used “White Christmas” on its soundtrack. Theatrically, Berlin continues to be a potent force. In 1988, Arena Stage in Washington, DC revived The Cocoanuts for the first time in sixty years; the revision has since been produced in a dozen theaters across North America and England. The following season, Berlin’s song “Mr. Monotony” - cut from various shows and films - made it into Jerome Robbins’s Broadway. A hit Broadway revival of Annie Get Your Gun followed in 1999 (starring, at various points, Bernadette Peters and Reba McEntire) and in the 21st century, several different Berlin film projects have been adapted successfully to the stage, including Irving Berlin’s White Christmas (Broadway, 2008); Top Hat (West End, 2011: winner of the Olivier Award); and Irving Berlin’s Holiday Inn (Broadway, 2016). "[The] average United States citizen was perfectly epitomized in Irving Berlin’s music. He doesn’t attempt to stuff the public’s ears with pseudo-original ultra-modernism, but he honestly absorbs the vibrations emanating from the people, manners and life of his time, and in turn, gives these impressions back to the world - simplified, clarified, glorified."